Who: Anyone and everyone is welcome, especially those who may or may not consider themselves creators, makers, artists, builders. What: "Where failure is not an option... it is a requirement"- Figment Executive Director David Koren. ALPHA was launched in 2013 as an event that gives participants a safe space to experiment with interactive and participatory projects. ALPHA is a a place to launch new projects, to fail, to collaborate, to improve and refine existing projects, to dive in and create something new and unexpected, to reinvent yourself completely as an creator. We are inspired by Burning Man and follow the 11 Principles of FIGMENT based on the 10 Principles of Burning Man. Where: Ramblewood Rustic Resort 2564 Silver Road Darlington, MD 21034 Click here for a map of the location, or click here for directions. Cabins and camp sites available! Tickets: All participants must have one! early bird tickets are available HERE. Production staff work for comp tickets, please email if interested. Participation: Participants bring small and large interactive projects. Location: Ramblewood is a 200 acre private resort with lakes, hiking trails, barn, dance hall, cabins, meeting rooms. Curation: The production staff organize projects to allow participants to engage in many different experiences through the weekend, we place projects in appropriate indoor and outdoor settings. Logistics: We can help you get your large art project from NYC to ALPHA and back, email us or fill out the form. Financial Support: $20 of every ticket sale is used to support ALPHA artists, we use a token system that allows participants to directly support artists of their choice. 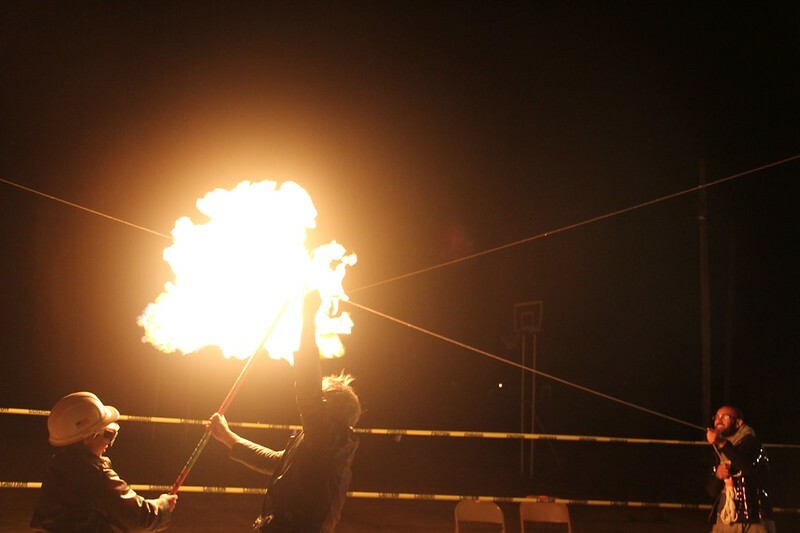 Effigy: A fire art project celebrating community and creativity.